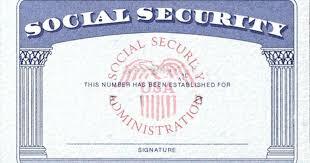 Social Security Administration Gave Away $1 Billion in Benefits…No SSN Card Necessary! It is no secret that there is a serious problem with the Social security situation. Insane amounts of money are misused, but we had no idea it was such a colossal amount. But now it is becoming clear just how devastating the misuse of funds is. And the number is truly staggering. The agency’s inspector general found errors in how the government documented representative payees or individuals who are designated to receive retirement or disability benefits on behalf of those who cannot manage the benefits themselves, the Washington Free Beacon reported. The audit, released Friday, found thousands of instances where no SSN was found on file. The agency paid $1 billion to 22,426 representative payees who “did not have an SSN” and had not kept any paper applications supporting an individual’s case to receive benefits on someone else’s behalf, according to the inspector general. The agency also paid $853.1 million in benefits since 2004 to individuals whom the agency terminated as representative payees. The Social Security Administration has come up with dozens of excuses for the insane amount of money that is being misappropriated. But at what point will they admit that the program is broken? It is in desperate need of being fixed and ignoring the issue and avoiding responsibility isn’t going to work here.